This is a wonderful Vintage Romantic French Couple Clip Art Image! Shown above are a young couple wearing Period Costumes. 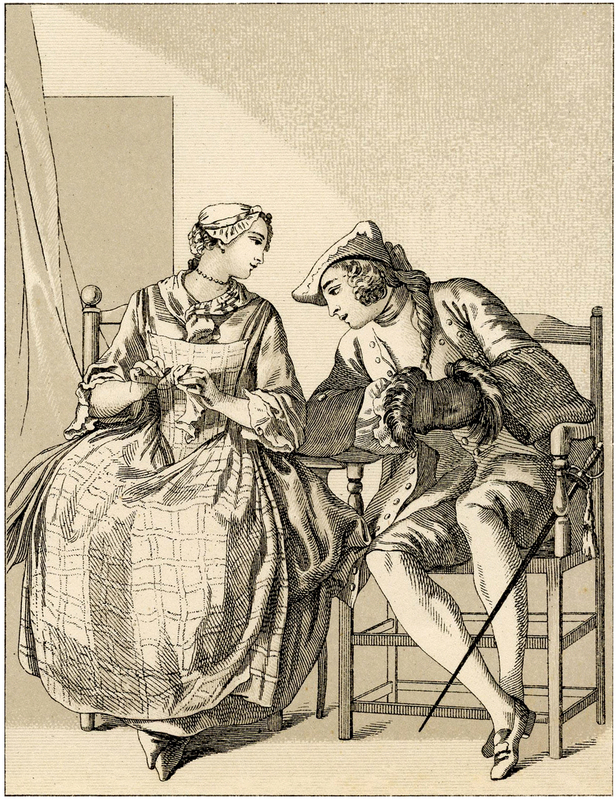 The woman is sewing and the man appears to be cleaning something. They are dressed in plain clothes so perhaps they are servants. A nice piece for your Collage or Mixed Media projects! 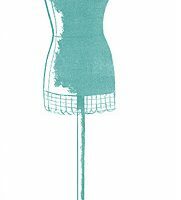 Vintage Canoe Silhouette Image Retro Clip Art – Cute Dress Forms Old Photo of an Adorable Child! Thank you Karen – this is sweet.